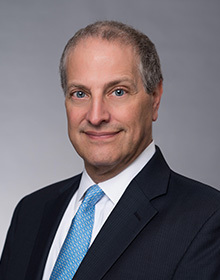 Steve Coran is chair of Lerman Senter’s Broadband, Spectrum, Utilities, and Communications Infrastructure practice group. He represents broadband providers, equipment and technology companies, and new technology firms, serving their policy, transactional, compliance, and licensing needs. He actively represents a trade association before the FCC, Congress, and other federal agencies in matters involving spectrum policy, Internet regulation, the Universal Service Fund, and other proceedings affecting wireless broadband service providers and other wireless technology interests. Steve has extensive experience in negotiating complex, multi-party transactions for the purchase, sale, and financing of established and start-up communications businesses, and also drafting and negotiating spectrum lease, tower lease, dark fiber, and other agreements. He has represented financial institutions and foreign companies in connection with public and private investments. Steve also advises on regulatory compliance and FCC enforcement matters.